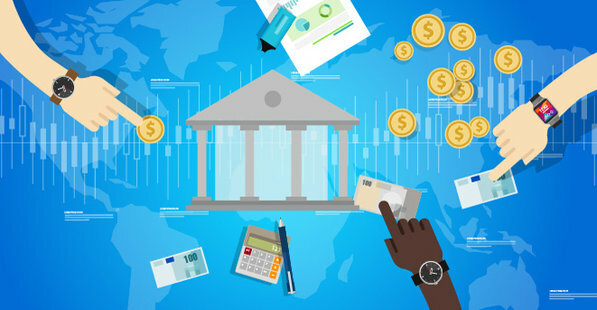 Internal policy covers legal obligations and workplace guidelines on employee confidentiality, data privacy, online behavior, health and safety, and other essential requirements for running a business. 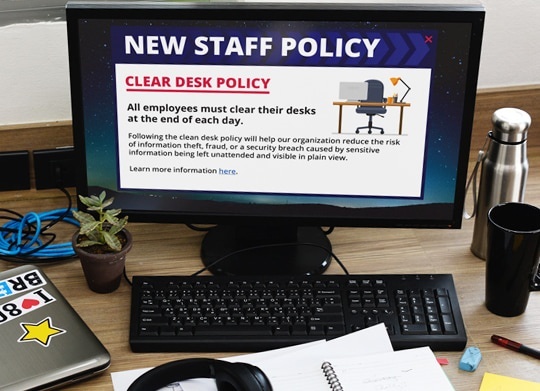 For most organizations, the challenge is how to implement internal policies when every employee needs to understand them and how they relate to their role. Policies and procedures foster a safe and welcoming environment for all employees. 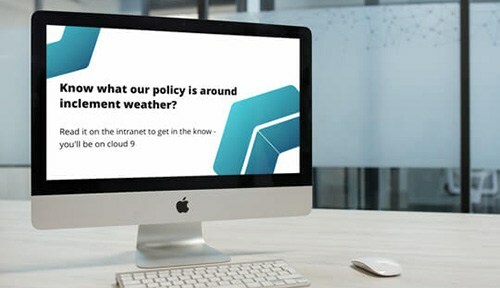 Effective internal communications ensure your policies are embedded throughout your organization – not just filed away, never to be seen again. A campaign approach with SnapComms achieves the best results for policy communications. The powerful combination of channels drives readership and reinforces your message in ways traditional corporate emails never can. 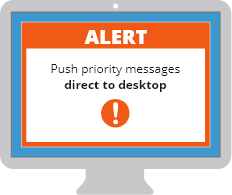 Desktop tickers make staff notice when new policies or updates are available. Tickers uniquely get attention without distracting multi-tasking staff, such as those in call centers. They’re especially effective in promoting policy compliance. A series of screensavers visually engage employees with thought-provoking questions such as “Is this legal?” or “How would my manager feel if he/she knew?”. Total format flexibility rouses initial awareness and prompts further understanding. 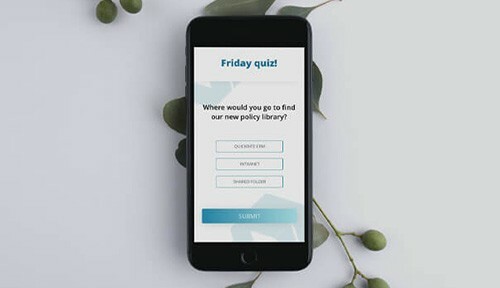 Staff quizzes verify understanding on important topics, such as campaigns or processes related to customers, and identify areas of potential training needs. 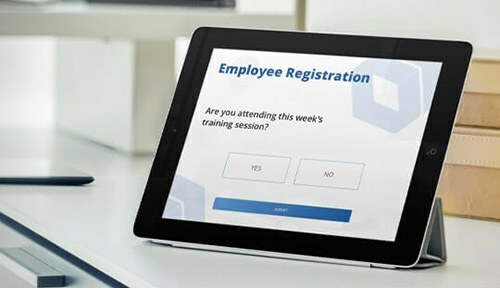 The RSVP tool can drive attendance for policy training sessions. Staff are encouraged to attend, which increases the value of the sessions and improves organizational compliance. 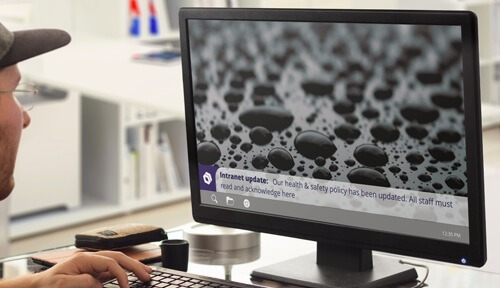 Use visual formats like digital newsletters to promote policies. If there’s a specific policy that requires highlighting, dedicate an entire issue, combining employee stories, explainer videos etc. 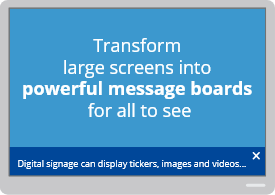 Use digital signage and screensavers to generate awareness and build interest in important training sessions. For example, reminder notifications and countdown-style messages. Combine screensavers, videos, alerts and tickers to increase understanding, build a story, create momentum and ultimately drive behavioral change. Ensure policies don’t inhibit staff doing their jobs by using surveys to understand how policies affect their work. This will reveal any policy areas that may need refining. Best practice procedures govern all tasks, ensuring everything is completed to the high standards expected. The location of policy information is readily known and accessible by staff if they have questions or concerns. Financial and reputational repercussions caused by non-adherence to policy are avoided. Employees are assured that any conflicts which affect their jobs will be addressed and resolved. Valuable supporting material for product campaigns or internal projects are promoted widely to drive program success. Readership of and engagement with internal policy messages are made more effective through real-time data-driven insights. Take advantage of these special features of the SnapComms platform to improve the success of your internal policy communication. Compliance - There is often a legal requirement for an organization to prove that employees have agreed to your policies and procedures. Include a confirmation piece stating “I comply” or “I agree” within your communications campaign. Targeting - Set up custom staff groups by job type, location, team or anything else, to enable communicating to them most relevantly. You can then target policy updates only to those employees affected, such as online behavior to marketing or dealing with bribery to sales. Reporting - Real time tracking provides insights into readership at employee or team level, providing assurance that all staff are being reached. Validation - Set up either compulsory or optional compliance for employees, in line with your business. WANT TO LEARN MORE ABOUT HOW SNAPCOMMS CAN WORK FOR YOU? 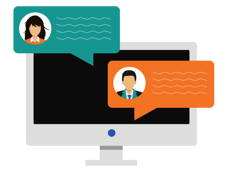 Send a brief description of your communication requirements and we'll get back to you with a guide price! Better employee engagement grows policy knowledge, reduces risk and helps keep your business safe. Having an effective strategy which communicates internal safety policies and procedures is critical in these challenging times.